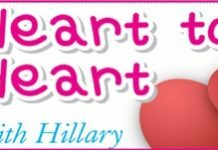 Home Blogs Heart to Heart with Hillary Are you there Prince Charming? Are you there Prince Charming? I met a woman at the party last night and I can’t get her out of my mind. I didn’t get her name as we only briefly saw each other across the room, before she flitted away, so I haven’t even spoken to her, but there was that spark of magic there in her eyes promising just so much. Can you help me find her again? I think I am going mad with desire. She was wearing a yellow dress, and with her dark hair and dark eyes, the effect was fantastic. I must find her again. What sort of a love struck calf are you, my myopic Petal? How would Hillary know where to find your lady with the bedroom eyes? Are you sure you weren’t watching a Cinderella DVD? All you have to do is travel the length and breadth of Pattaya with the glass slipper in your hand. Start with Soi 6, I’m sure you’ll get to meet the elusive “her”, though do be careful there’s a few not so elusive “hims” in that soi. On the other hand, how much money do you have? I’m sure that for the right amount of money I can find a yellow dress, and I’ve got the dark hair and dark circles around the eyes. Send me a photocopy of your bank book, that’s a lad! Previous articleLike a cold beer?